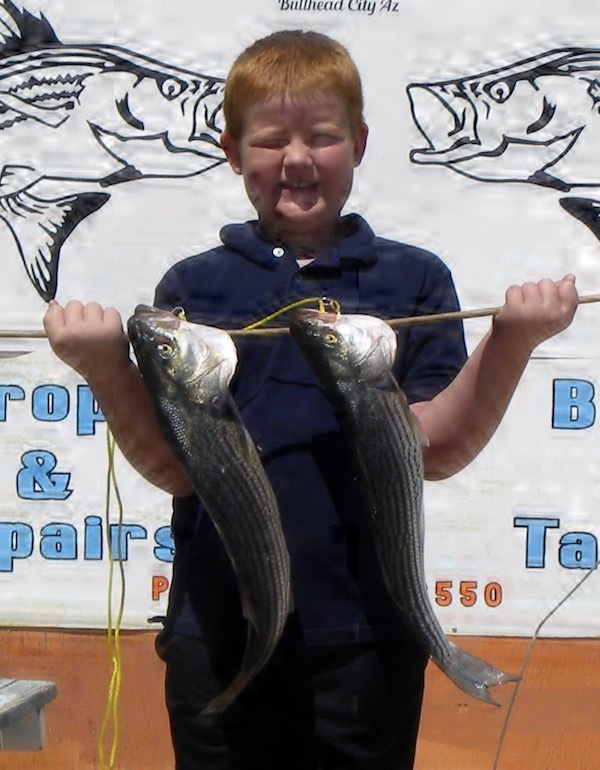 We are having a great fishing season both Striped Bass and Rainbow Trout. 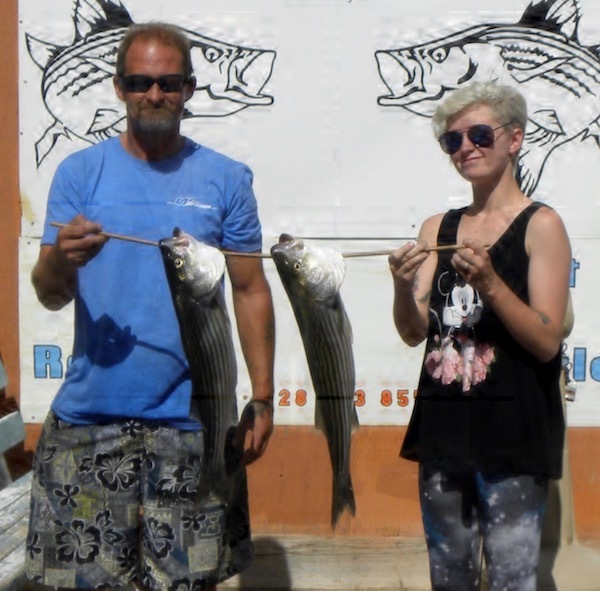 We do have a few other type of fish to go after but these 2 are most common and easy to land. Here below the Davis Dam along the Colorado river this year is the greatest. 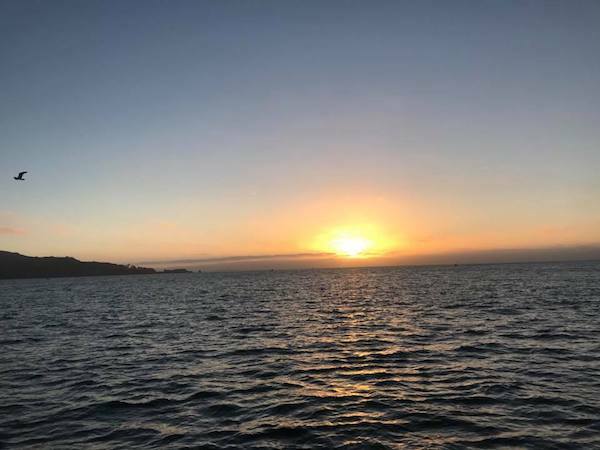 The trout bite has slowed some because of the heat as this fish likes the colder waters. The rainbows are still out there but a little more work to land. try early morning for these guys. 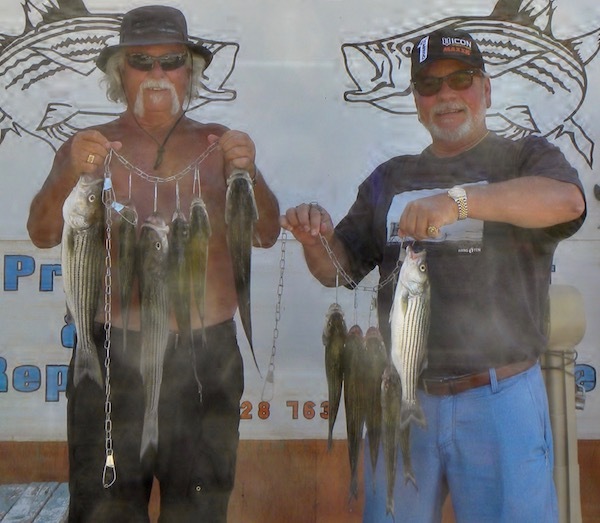 Just below the big bend area our local angler Mike Merritt brought along his friend Tim Kilgore to land some stripers and a trout using anchovies from his boat. 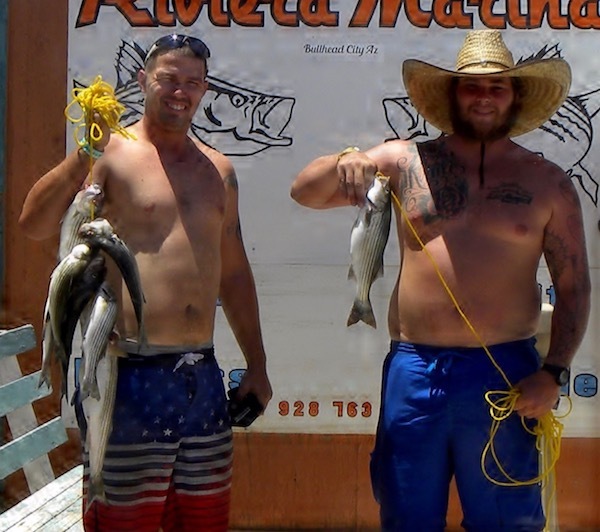 While fishing from shore Joe Lewis and Joshua Thibeaux landed some stripped bass and yep using anchovies. Another Great Day Fishing Aboard the New Huck Finn.